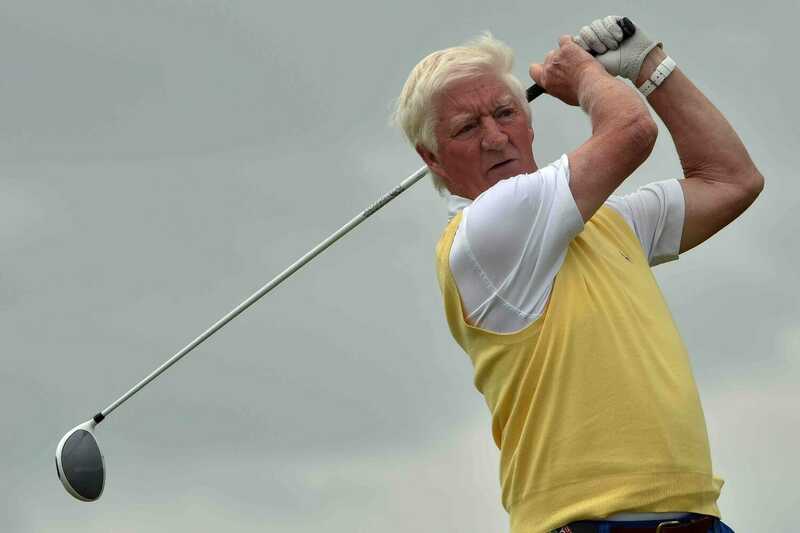 England and Ireland recorded victories in blustery conditions on the opening day of the Senior Men’s Home Internationals at Southerness, Scotland which have been postponed today due to weather forecasts of severe storm Ali and are due to resume on Thursday. Hosts Scotland got off to a good start against Ireland in the morning foursomes, taking a 2-1 lead into lunch after Ronnie Clarke (Erskine) and Lindsay Blair (Grangemouth) notched a 3&2 victory against the Irish pairing of John Mitchell and Barry Hobson, while Robert Smith (Nairn) and Malcolm Reid (Sonning) defeated Maurice Kelly and Michael Quirke 5&4. The afternoon session, however, was all about Ireland. As conditions worsened, Ireland knuckled down and fared better than their hosts, only losing one match on their way to securing a 5.5 – 1.5 victory. In the day’s other match, England, who are looking to make it three-in-a-row with a victory this week, overcame Wales 6 – 3. England led 2.5 – 0.5 after the foursomes, then singles victories for Rupert Kellock (Sunningdale), Richard Norton (Beverley & East Riding), and Ian Attoe, along with a half point for Rich Jones (Rotherham), helped England to the victory. Due to the impending arrival of Storm Ali, which could bring winds of 80mph with an amber warning is in place for large parts of the country between 08:00 and 17:00 on Wednesday and after an agreement from all four team captains, play will recommence on Thursday, where there will be a change to the original format. Two sessions consisting of seven singles matches will take place, to ensure all three country v country matches are played.